Mum's pasta bake recipe | Gluten-free and super easy recipe! 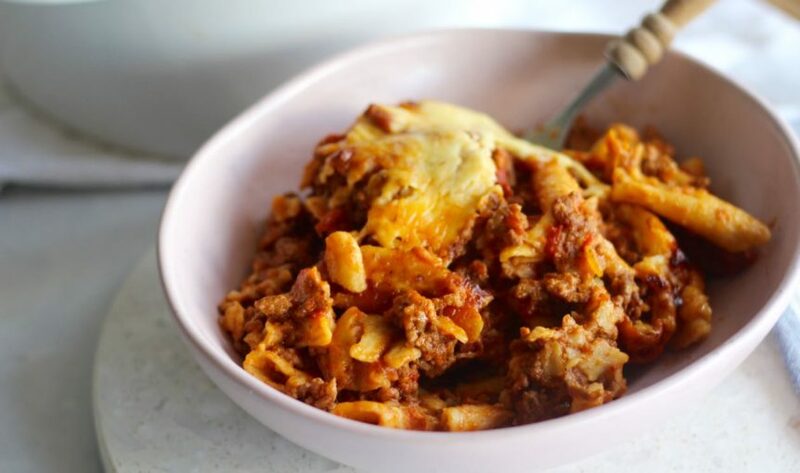 Mum’s pasta bake recipe | Gluten-free and super easy recipe! This delish recipe is brought to you by our Mum and also Supabarn. 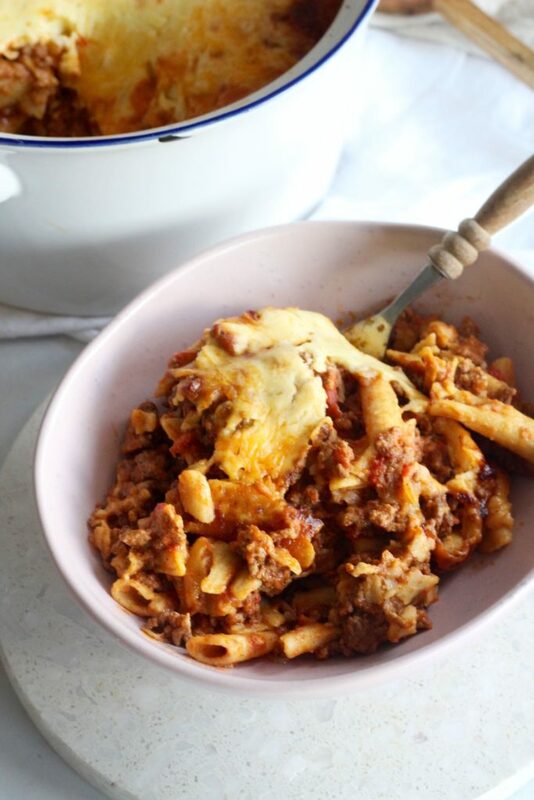 It’s Mum’s old recipe but we used epic delish as gluten-free pasta from our faves Supabarn. If you are in Canberra or Sydney be sure to check them out! There is something magical about a pasta bake recipe on a chilly winter’s night. Maybe it’s the carbs, maybe it’s the cheese… who knows but it’s bloody good! We used buckwheat pasta but feel free to use whatever gluten-free pasta you like. You could even use zoodles instead, we’ve done this with our spag bake recipe. And if you are dairy free, simply skip the cheese. We don’t eat cheese and gluten-free pasta every day once in a little while is fun and oh so yum! Let us know if you whip up this deliciousness for dinner and send us a photo on Instagram! YAY. Heat the butter in a large shallow pan on medium high heat. Add the onion and garlic and cook for a couple minutes. Add the mince and stir to break up lumps, continue cooking until brown. Add the bay leaves, oregano and thyme, salt and pepper and stir. Now add the canned tomatoes and tomato paste, reduce heat, cover and allow to simmer for 30 minutes. While the meat is cooking, fill a large saucepan with water, bring to the boil, add the pasta and cook for about 12 minutes or until tender. In a small bowl whisk the egg and coconut milk together. Once the pasta is cooked, drain. Add the pasta and the eggy coconut mixture to the meat and stir well. Transfer the pasta and meat into a large ovenproof dish, top with grated cheese and bake in oven for about 30 minutes. Serve with side of greens or delish side salad. If you're dairy free just skip the cheese and bake step!